Jamie Pittock is Professor at the Fenner School of Environment & Society at The Australian National University. He is Director of International Programs for the UNESCO Chair in Water Economics and Transboundary Water Governance. 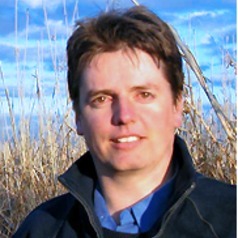 His current work includes developing research programs that link Australian and southern African expertise to improve management of river basins, green water and agriculture. Jamie's PhD examined integration between management of freshwater ecosystems and responses to climate change. Most assessments of climate change and water have focused on direct impacts such as changes in volume and increased variability of run off. Many governments, however, are advocating climate change mitigation and adaptation policies, such as increasing irrigation for biofuel production, increasing hydroelectricity production, carbon sequestration through afforestation, and interbasin water transfers, that may greatly increase impacts on water resources and freshwater ecosystems. His research examined how institutions at the international, national and river basin scales managed freshwater ecosystems and climate change. This research focused on the interplay between the UN Framework Convention on Climate Change, Convention on Biological Diversity, and the Ramsar Convention on Wetlands. National and basin scale research involved case studies from Australia, Brazil, China, the European Union, India, Mexico, South Africa, Tanzania and the United Kingdom. Prior to joining ANU, Jamie worked for WWF international as director of their global freshwater program on conservation of wetlands, water use in agriculture, and river basin management. Previously Jamie worked for WWF Australia on: national environmental laws; conservation of freshwater ecosystems, threatened species and communities, and native vegetation; management of invasive species; and measures to support Indigenous and private conservation land managers. He has also worked on environment and natural resource management issues in the Northern Territory and in Victoria.